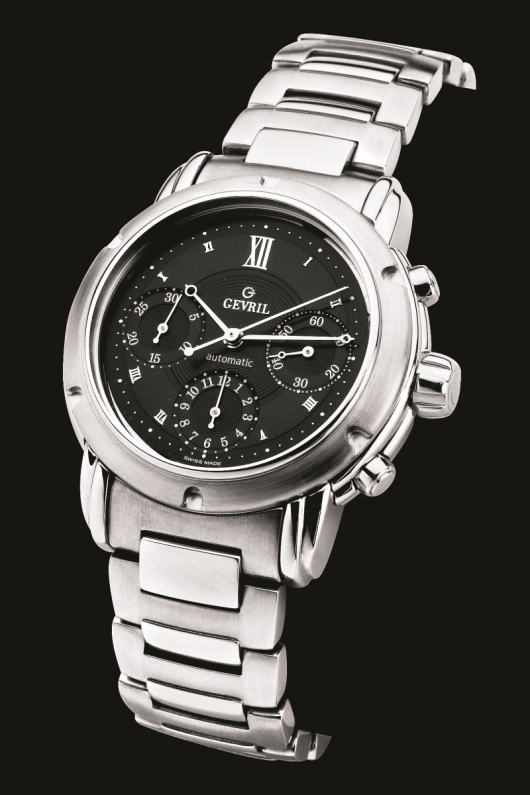 The Greenwich sport chronograph by Gevril was released in 1997, and like other Gevril collections, it is named after a famous New York area. In this instance the area is Greenwich Village, located in lower Manhattan. Greenwich Village today is a gentrified neighborhood of residential and commercial spaces, but for most of the last century it was home to a thriving artists’ community, and in the 1960s, it was America’s eastern capital of bohemian subculture. In the world of timekeeping, the name Greenwich also has significance. The Greenwich district in southeast London, England is the location of the prime meridian, or 0̊ longitude, the starting point from which longitudinal distances are measured around the world. The prime meridian sets Greenwich Mean Time (GMT) as well as Coordinated Universal Time (UTC), two primary time standards. Gevril’s Greenwich chronograph is a watch that befits the pace of modern-day New York, yet remains reverent to the importance of astronomy in horological history and to the significance of the Greenwich name. 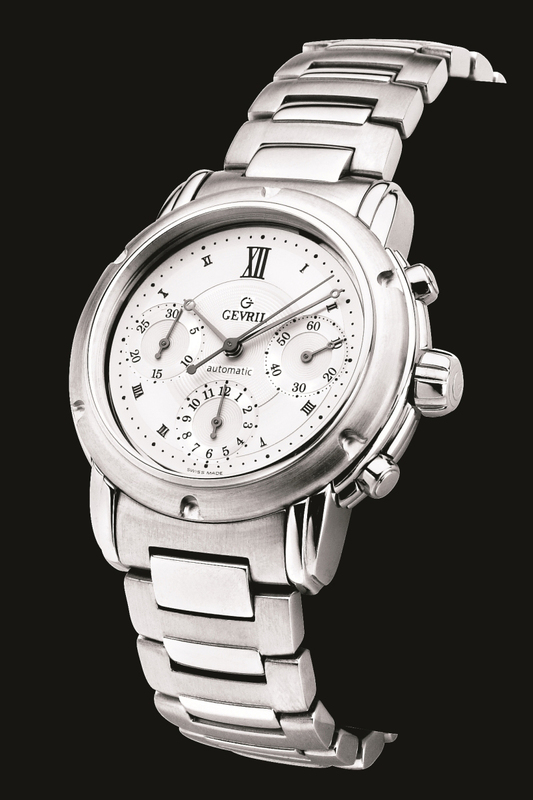 Greenwich watches are made from stainless steel with 39 mm cases, solid casebacks and sapphire-fronting crystals. The sides of the cases feature a decorative ribbing pattern. Multiple variations of the watch exist including those with silver, blue or black dials. Some dials are a solid color, others are two-tone, which holds true for the cases and bracelets, too. The bezels are marked by a sextet of ornamental nooks, and the cases have a screw-down crown with wide fluting and sunken chronograph pushers. 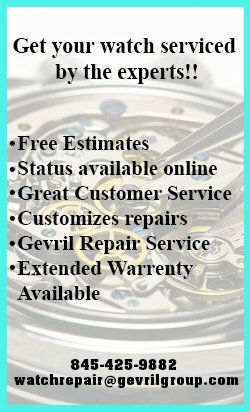 The Greenwich watch is water resistant to 330 feet. As a timekeeper, the Greenwich features the darling of complications – a chronograph – with a central sweeping seconds hand, a 12 hour counter at 6 o’clock and a 30 minute counter at 9 o’clock. The automatic movement inside is a Swiss made ETA 2824 with a Dubois Dépraz chronograph module. The dial design is a nod to the celestial roots of horology and to the age of marine chronometers, where stars were an important aspect of navigation. Small, round indexes circle the outside of the dial and sub-dials like tiny moons, and the Roman numerals are like miniature stars with a large numeral XII as the Polaris. More planetary shapes appear on the base of the dial, too, including a central circular hobnail pattern and circular graining in the sub-dials. The three pomme-style hands have circles in them, and the tails of three chronograph hands are spherical. Greenwich watches are mounted on one of two styles of interlinked bracelets with butterfly-style folding clasps. Both variations combine polished and brushed links made from stainless steel. 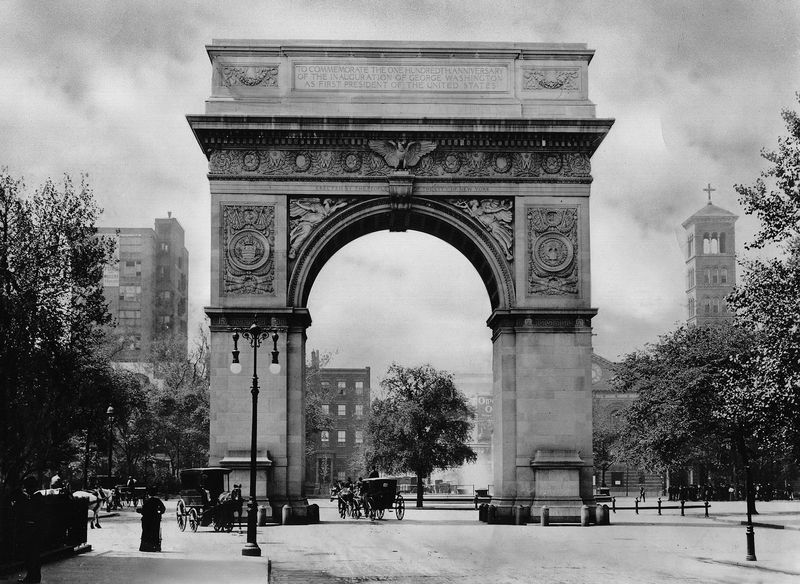 As one of Gevril’s most notable releases the Greenwich collection is a symbolic centerpiece of the Gevril universe, much like the Washington Square Arch is the symbolic heart of Greenwich Village. 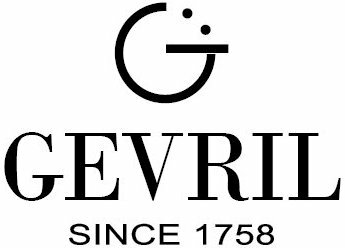 In the same respect, the Greenwich watch is the standard by which future Gevril watches are measured, as the Greenwich meridian is the all-important axis for time reckoning.